Buyer's loss is your gain! Sellers in process of putting on a brand new roof! 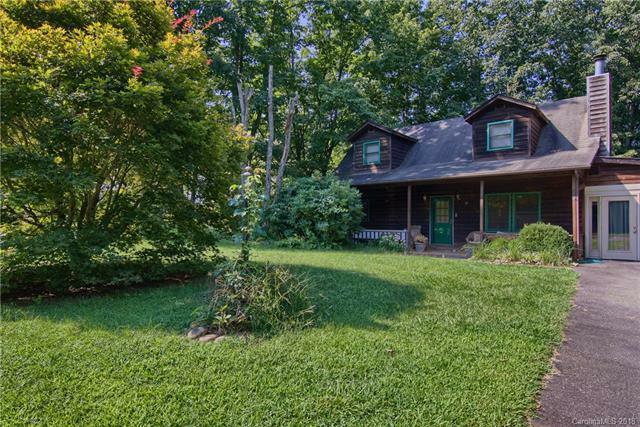 Adorable and afforable cottage with privacy and proximity. Only minutes to downtown Asheville and Weaverville. Covered front porch will be the place you'll want to spend cool fall evenings rocking on the front porch, or build a fire in back yard and enjoy the crisp fall air from the back porch off the kitchen. Large, level, fenced-in backyard for your furry friends. Wonderful sun room just off living room on main level. Gas fireplace in living room. Master on main level, bedroom and bonus room upstairs (2-bedroom septic) and home is move-in ready and cute as a button. Sellers offering a one-year home warranty to give you peace of mind. Please check out unbranded drone footage of the property at the following link: https://youtu.be/2jy_mAZS0Wk. Come home to Weaverville!